Hunter was featured as a "New and Notable" artist on Noisetrade.com. Click on the picture below to download six free songs! 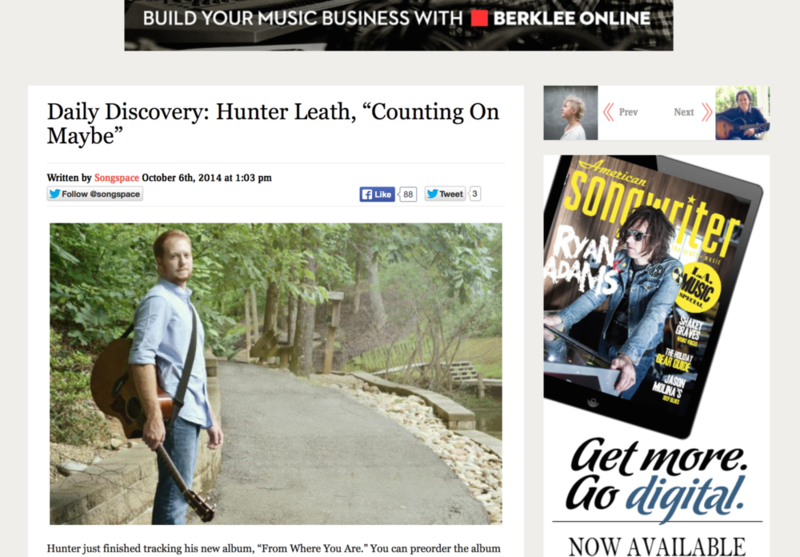 Hunter was featured in an issue of Country Insider, the weekly E-newsletter of Country Radio written by Phil Sweetland, who has written several cover stories for American Cowboy magazine plus over 85 stories on music and Radio for The New York Times, the album reviews and cover stories for Power Source Christian country music magazine, and more than 125 Sports features for The Memphis Commercial Appeal. Phil's biography of Hunter can be found here.